I talk about using EMF meters to find sources of radiation in your home all the time, but I am never able to be specific about how to do this. 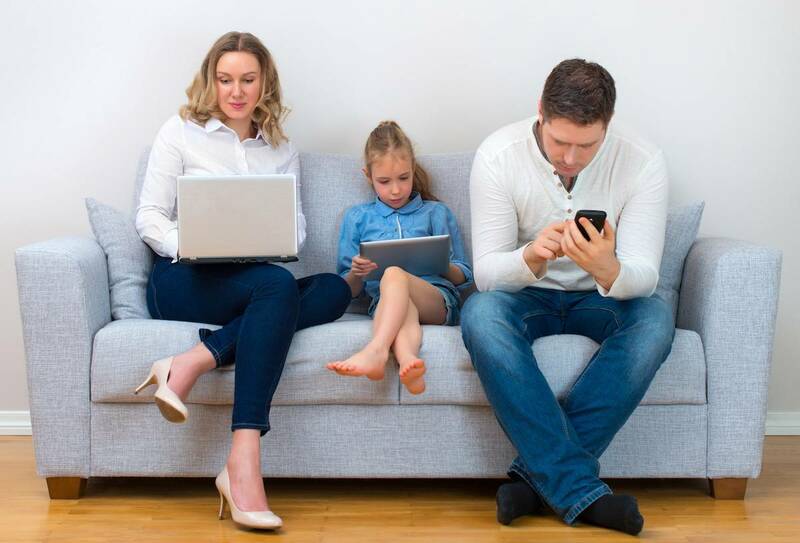 In this article, we’re going to go in-depth (while staying practical) on how to measure EMFs in your home, work, or anywhere else. I’ll talk about the various kinds of EMF radiation, why they are dangerous, and how you can measure them yourself. I’ll be as detailed as I can, without getting too far into the weeds, about exactly what to do, and how to interpret the information. I’ll probably refer quite a bit to my article on What is a High EMF Reading whenever possible to save you some reading. To be able to understand what we’re even doing, we need to talk just a little bit about what EMF radiation is. When people are exposed to EMF radiation, especially over long-periods of time, it has negative biological effects. From cell-phones and laptops, to smart-meters and microwaves, EMF radiation is all around us. We often break down EMF radiation by both its frequency, and it strength. So you’ll hear terms like ELF (extremely low frequency) thrown around, which is just an area on the spectrum of frequencies. The benefit of understanding the Frequency of EMF radiation, is that we can often determine what the source may be based on the frequency. If you take a look at the chart to the right, it will give you a better understanding of what sources emit at what frequencies. When we measure EMF radiation, we are typically measuring the strength of the radiation, not the frequency. The strength is measured in different ways, depending both on the type of EMF radiation, and where you live. See my article on Units of Measurement for EMFs for more on this, there is an interactive converter included in that article. Let’s talk a little bit about frequency and strength of EMF radiation, so we can fully understand what we are measuring. Frequencies are almost always measured, and reported, in what are called hertz (hz) which essentially is just the number of cycles per second. A common place that you come across this, is with your FM radiation, which tells you the exact frequency that you are tuning into. If you are listening to 95.3, your radio is receiving the signal at 95.3 megahertz (which is 95,300,000 hertz). This signal is picked up by your radio, and the frequency translated into audio that you can listen to. 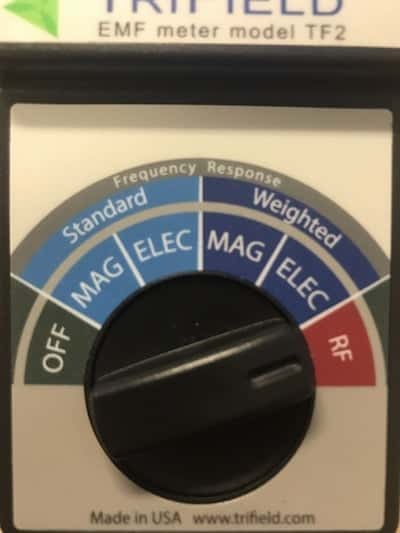 However, when we’re talking about reading EMF radiation, the frequency of the signal that we detect using the RF (radio frequency) setting on our EMF meter, really only helps us understand the source, and not so much the strength. This is also really helpful at determining if there is dirty electricity present in the wiring of our home since this dirty electricity actually emits a frequency. Alright, now that we understand a little bit more about the importance of EMF radiation frequencies, let’s talk more about the strength of EMF radiation. 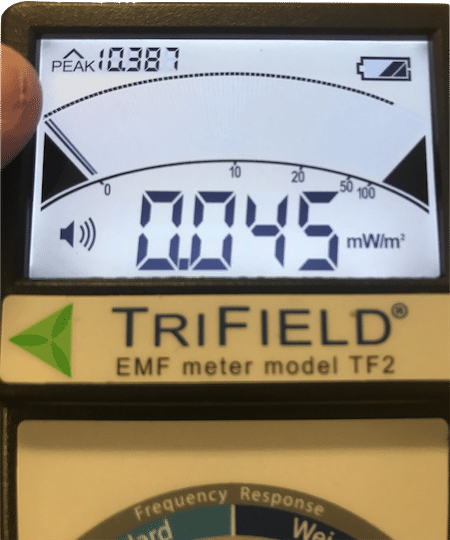 Nearly all EMF meters (like my favorite, the Trifield), are what are called gauss meters, meaning they are capable of measuring magnetic fields. The higher quality the EMF meter, typically the more accuracy you will see in the strength of the radiation reading. In North America, these EMF meters typically show magnetic field strength represented by milligauss (mG). In the EU and other areas of the world, it’s typically shown in microtesla. You want an EMF meter that can show at least down to .1 milligauss, or .01 microtesla. Some inexpensive EMF meters don’t go below 1 milligauss with their readings, which does not help people who are highly sensitive to EMF radiation since they can be adversely affected by amounts much lower than this. The other field we measuring strength with an EMF meter, is electric field radiation. This is typically measured in volts per meter. Alright, now that we understand some of the basics, let’s get into the more practical stuff. For help in selecting the best EMF meter for you, check out this guide I wrote, it will walk you through picking a great EMF meter. For this guide, I’m going to be using my personal favorite, the Trifield TF2. I love this one and recommend it all the time because it’s so simple to use and understand. However, the steps should be simple to follow no matter what EMF meter you are using. The first thing we want to do, is use our EMF meter to survey a single room. Let’s start with our living room. We’ll need a notepad and pen, and our EMF meter. 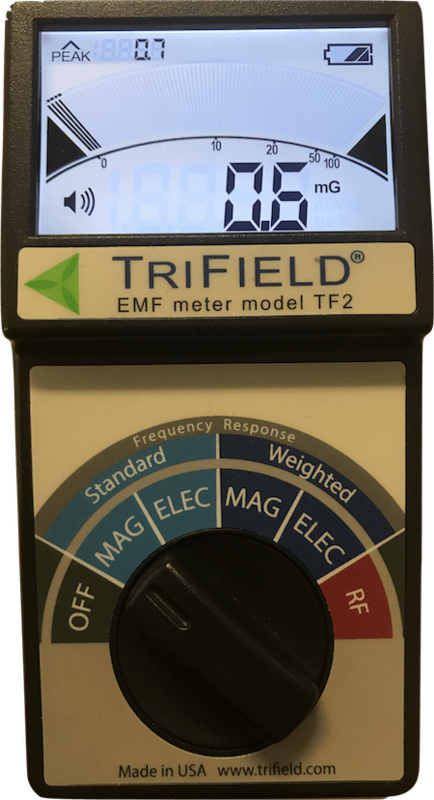 Start by flipping your Trifield TF2 (or other EMF meter) to the magnetic field setting, on the TF2 this is the “standard MAG” selection. I like to start with magnetic fields, because they are present from nearly all the electronics around us. For example, your laptop will emit a surprising amount of magnetic field radiation as you approach it. Hold the EMF meter out in front of you, and slowly walk while sweeping the device back and forth. If you notice the digital display, the sound, or the milligauss reading spike at all, move in the direction of the reading. Follow the readings until you’ve located the source of the radiation. Once you’ve located what it is, let’s say it’s your refrigerator. Go ahead and reading by moving around the source, and then make a note of both what the source was, and an average reading. If what you are measuring does not have any wireless connectivity, then you only need to get measurements of the magnetic and electric field radiation. Once you’ve written down the information in your notebook, go ahead and continue on with your sweeping, starting with magnetic field. Once you have done this a few times, and located any sources of radiation in area, be sure to note them all down. These notes will help you later to determine how you can lower your overall exposure. Either by eliminating un-needed sources, or finding ways to protect yourself. We know from the expanding library of research on EMF radiation, that the danger of exposure is cumulative. This means that the more radiation we are exposed to over a lifetime, the greater our risk. That is why we need to pay extra close attention to the areas we spend the most time when we are measuring EMF radiation. 4. What About Wireless Devices? Anything that has a wireless aspect to it, such as a laptop, cell-phone, Bluetooth device, smart meter etc. we need to measure the Radio Frequency Radiation. On the Trifield TF2, this is the Red section labeled “RF”. So, let’s say we are wanting to measure the EMF radiation from our cellphone. Put whatever you are measuring down on a table or floor, or hold it in one hand. With the other hand, point your EMF meter at the device, and slowly move it closer. Start about 1 foot away, and then approach the device noting the readings as you get closer. The most important tip I can give you here, is to only look at the PEAK readings when measuring RF radiation from wireless devices. If you take a look at the image to the right, you will see that the primary reading is .045 mW/m2, while the peak reading that my finger is pointing to, is 10.387 mW/m2. Obviously this is an enormous difference. The reason that this is the case, is that information sent via radio waves, is done so in packets of information. So instead of a steady flow of EMF radiation like we encounter with magnetic and electric fields, radio waves emit constant pulses of radiation. This is very important especially when measuring something like your smart meter. Some people make the mistake of thinking that the radiation emissions are low, because they either did not wait long enough for a packet to transfer and for the reading to spike, or they didn’t look at the PEAK reading. Especially when we’re talking about ambient EMF radiation from large sources such as power-lines or cell towers. 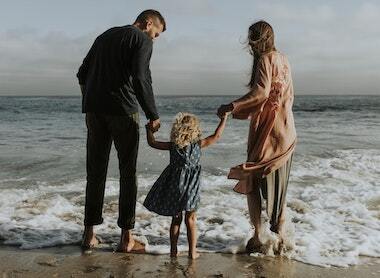 For example, on a hot day in the summer, you may have huge radiation spikes from power-lines as power companies provide enormous amounts of electricity when everyone turns on their air conditioner. It’s also important to take readings at different times of the day to be accurate. Your neighbors may utilize more electricity, and WiFi when they are home in the evenings, and therefore readings will be higher. Members of your household may use their wireless devices much more in the evening, adding to the overall electrosmog of the home. 2. Some Devices Emit More Than One Kind of EMF Radiation. For example, a hair dryer will likely be emitting both electric field radiation, and magnetic field radiation. A laptop is going to emit large amounts of radio frequency radiation (if it’s connected to WiFi) and also emit magnetic field radiation. This is why it’s important to flip your EMF meter between the various settings whenever you are measuring EMF radiation. 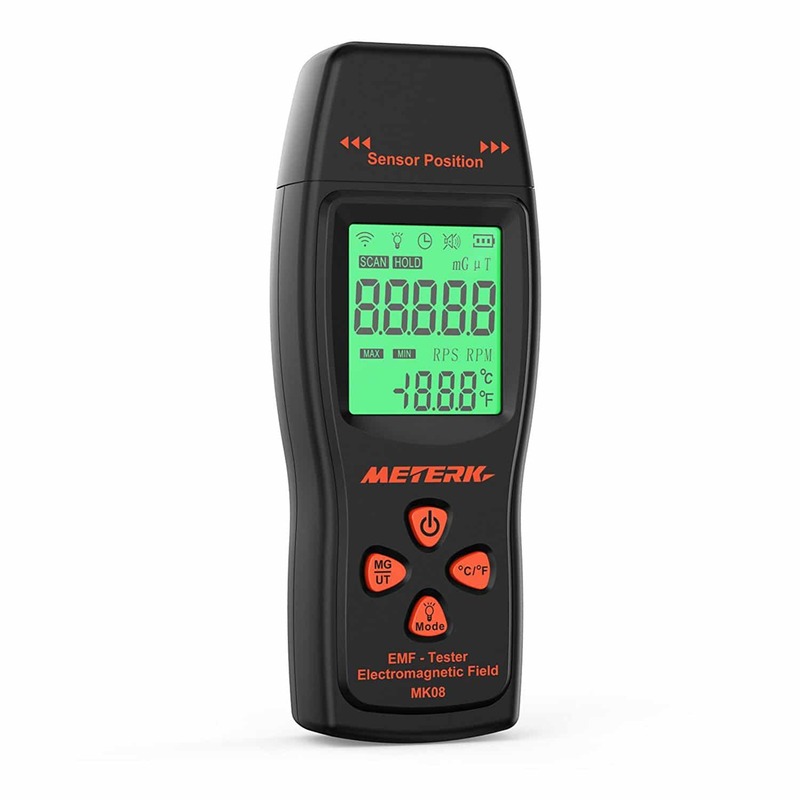 There are many inexpensive EMF meters on Amazon or other marketplaces. Almost none of these inexpensive meters will read radio frequency radiation at all. The usually only read electric field, and magnetic field, and my personal experience has been they do so without any sort of accuracy. Although buying a cheap EMF meter to measure EMR sounds tempting, it is not worth it in my opinion. How Much EMF Radiation Is Too Much? This is a tough question to answer, as the specific numbers have not really been decided on. On top of that, it really depends on the length of your exposure to various types of EMF radiation. Measuring the EMF radiation in your home, and at your work, is the first step to reducing your overall exposure. It is the most important step in a wholistic approach to improving your health when it comes to EMF exposure. I hope that this simple, and practical guide to measuring EMFs helped you. Please leave comments below if you feel that I missed anything that would have helped you. Together we’ll make this the best resource available anywhere! I created and currently manage EMF Academy, one of the premier sources for EMF safety knowledge. I am so passionate about spreading this crucial information. If you need anything, just shoot me an email at C[email protected] and I'll do everything I can to help.